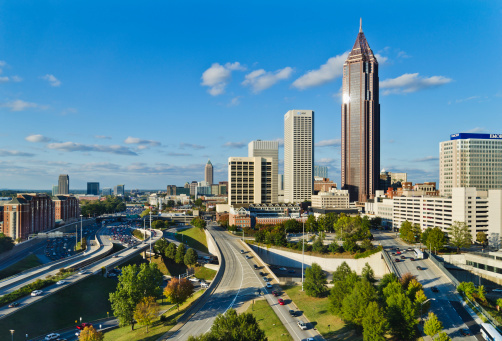 The Georgia public finance operation provides services to states, cities, towns, counties, special districts, school districts, and infrastructure developers, among others. HSE provides a full range of services as financial advisor, placement agent or underwriter. The planning process begins with a review of a municipality’s finances, existing indebtedness, previous borrowing practices, budgets and capital improvement plans. HSE identifies policy alternatives. HSE professionals can provide municipal, developer, and pricing advisor functions in all circumstances that do not involve our underwriting services. These advisory services vary on the basis of the underlying requirements of the client. On behalf of municipalities, HSE structures infrastructure financing for water, wastewater, solid waste, streets, lighting, etc. HSE will monitor issuers’ outstanding debt to provide information on refunding (refinancing) opportunities. HSE will help prepare and distribute your official statements and other documentation needed to ensure that the sale of bonds complies with industry practices, laws and regulations. We help coordinate efforts with bond counsel, local counsel, disclosure counsel and other working group members. HSE’s experience in financing public development projects lends significant value in problem solving, recognizing inconsistencies and negotiating better pricing, thereby saving your community time and money. HSE aggressively markets your bond issue to achieve the lowest cost of financing. Our daily participation in the local, regional, and national bond markets assures you the most competitive rates at the time of sale. Document preparation for bonds involves many parties and takes time to develop and coordinate. We assist in the preparation of the necessary documents for all of our clients’ transactions. We add value during this phase by liaising with our clients and their counsel to ensure that bond documents are accurate, sufficient, and filed in a timely manner. For more information about any of our services please contact the Atlanta Public Finance Representative. Mr. Christopher Crump, a Public Finance Assistant Vice President in the Atlanta office, joined HSE in July 2015. Mr. Crump has over ten years of experience serving a variety of issuers and credits. Prior to joining HSE, Christopher worked for CastleOak Securities. His experience includes technical and analytical support, structuring and deal execution responsibilities for: cities, villages, universities, senior living facilities, counties, transportation, water and sewer, and primary and secondary education. Mr. Crump is a member of the National Federation of Municipal Analysts, Chicago Municipal Analysts Society, and the National Association of Securities Professionals. Christopher is a graduate of Clark Atlanta University and holds a Bachelor of Arts degree in Economics. Mr. Crump has a FINRA Series 52 and Series 63 licenses as well as the MSRB Series 50 Municipal Advisor Representative.